Thailand offers a plethora of animated scenes that comprise bustling modern cities crowded with tuk-tuks, Buddhist temples tended by monks, lush landscapes dotted with traditional farming villages, hill tribes selling handicraft, ancient ruins that tell interesting history and spectacular coastlines peppered with blue lagoons and white-sand beaches. All of these compose a captivating portrait that explains why the country is the most popular travel destination in Southeast Asia. If you are planning for Thailand or looking for a Thailand holiday package, you would even have a more wonderful time if you include these top 5 places in this country. 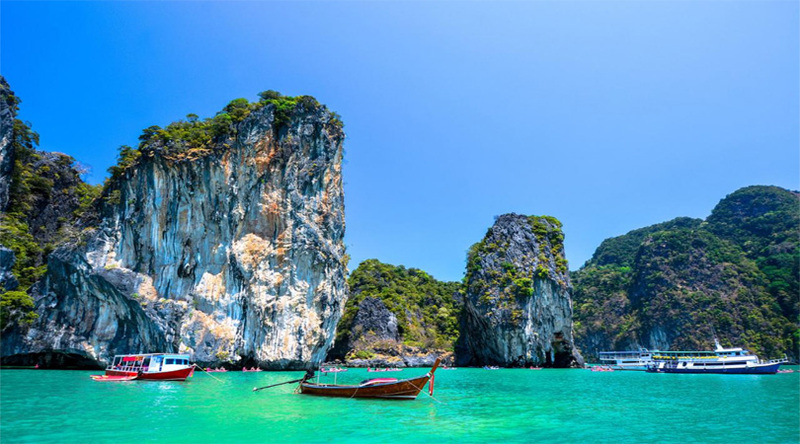 Read more about: Thailand Beaches: Holiday in a Paradise. 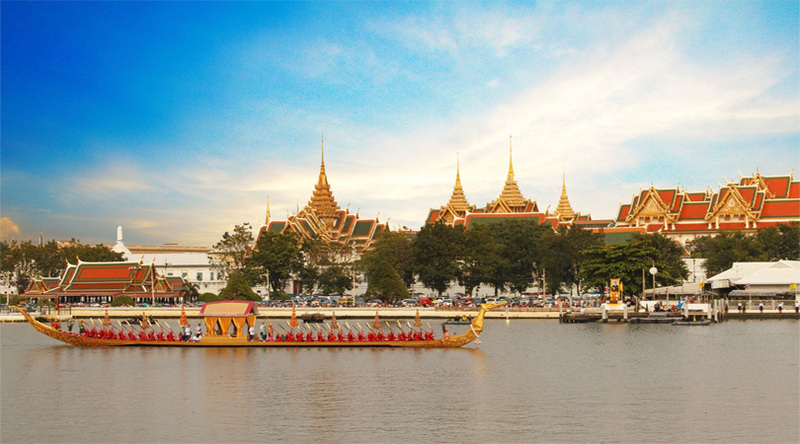 By far the largest city in the country and its capital, Bangkok is a bustling city of ancient temples, magnificent palaces, high rise buildings, glittering nightclubs and busy markets and streets that are lined with vendors hawking delicious food and great souvenirs. Though it is sometimes described as a concrete jungle packed with pollution and traffic, the city is not without its natural beauty that is seen in its remaining green spaces and canals. A good place to begin your trip here is the shopping, dining and nightlife destination, Khao San Road. You should also not miss the place where you will find the Emerald Buddha—the sacred Wat Phra Kaew temple. 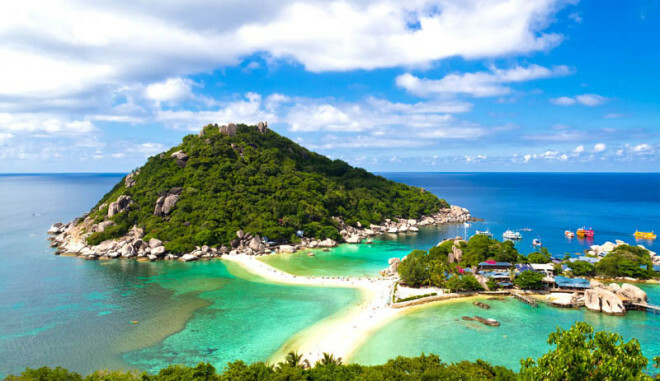 Koh Samui or Samui Island is a cosmopolitan melting pot of various kinds of tourists, from budget travelers wanting to stay for a month or two in beachside bungalows to the wealthiest vacationers just dropping in for a weekend at luxurious villas or resorts along the white-sand beaches. From the bustling Chaweng Beach to the lively yet relaxed atmosphere of Lamai Beach, Koh Samui is unique among the country’s islands when it comes to maintaining a broad appeal for locals and tourists alike. Generally, it provides a distinctive relaxed atmosphere that sets it apart from the rest. A province on the Andaman Coast in the southern part of Thailand, Krabi is almost an otherworldly region of labyrinthine archipelagos. Here, you will see islands seemingly erupting vertically out of the sea, with secluded beaches only accessible by long-tail boats that are colorfully adorned. 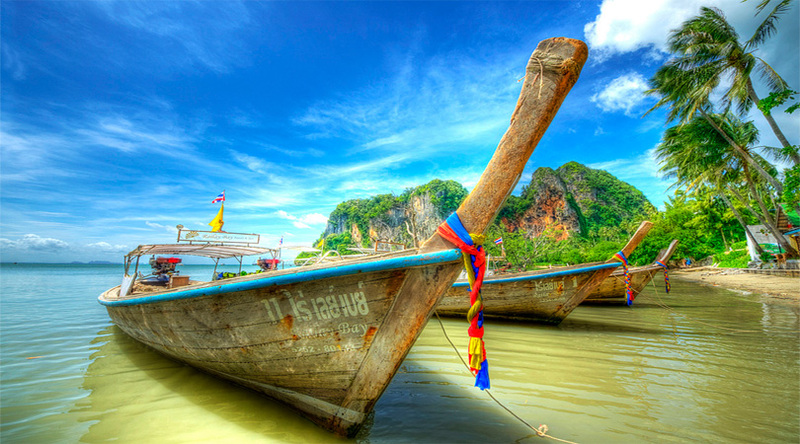 The myriad of bays and coves in Krabi have sheltered merchants, pirates and sea gypsies for thousands of years, with archaeological evidence indicating that the province was originally inhabited as early as 25 to 35 thousand years ago. When holidaymakers from around the world talk about sun, sea and sand in Thailand, Phuket would always be the first place that comes to mind. With a reputation that was boosted to international attention by the James Bond movie “The Man with the Golden Gun” in 1974, today, the entire area is teeming with many resorts and hotels that offer all kinds of tourist facilities. 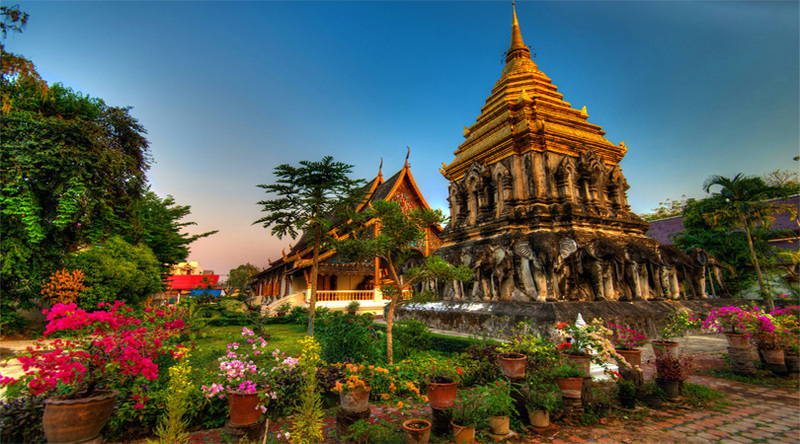 Surrounded by northern Thailand’s mountains, Chiang Mai is a flourishing city that is often used as a base by those who wish to explore the lush landscapes and hill tribes of the region. Also, the city itself is a large and culturally important place city where modern and historic Thai traditions and architecture coexist. It is almost impossible to squeeze the best of Thailand, especially to just into a top 5 list. However, by including all of these places into your itinerary, you will be assured of a trip that will let you entirely experience what the country is all about. Enjoy and stay safe! What If you can Enjoy a Rich Trip in Delhi within a Day?